In 1964, George Solomon coined the term psychoneuroimmunology. In the intervening 30 years, this term has emerged into a dynamic field of study which investigates the unique interactions between the nervous, endocrine, and immune systems. 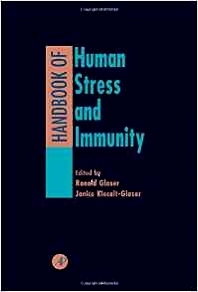 The Handbook of Human Stress and Immunity is a comprehensive reference for this dynamic new field. Focusing on how stressors impact the central nervous system and the resulting changes in immune responses, the Handbook is the first to describehow stress specifically affects human immune systems. It discusses how stress generally makes people more susceptible to infection, how personal support systems can counteract the physiological effects of stress, and how stress, or lack of stress, affects the aging process. Chapters are authored by the leading names in the field and cover such diseases as autoimmune disease, viral pathogenesis, herpes, HIV, and AIDS. Academics, researchers, graduate students in clinical/abnormal psychology, immunology, neuroscience, and physiology. J.A. Moynahan, G.J. Brenner, R. Cocke, J.D. Karp, S.M. Breneman, J.M. Dopp, R. Ader, N. Cohen, L.J. Grota, and S.Y. Felton, Stress-Induced Modulation of Immune Function in Mice. B.S. Rabin, A. Kusnecov, M. Shurin, D. Zhou, and S. Rasnick, Mechanistic Aspects of Stressor-Induced Immune Alteration. B.S. Zwilling, Neuroimmunomodulation of Macrophage Function. C.C. Whitacre, S.O. Cummings, and A.C. Griffin, The Effects of Stress on Autoimmune Disease. J.F. Sheridan and C.M. Dobbs, Stress, Viral Pathogenesis, and Immunity. R.H. Bonneau, Experimental Approaches to Identify Mechanisms of Stress-Induced Modulation of Immunity to Herpes Simplex Virus Infection. M.L. Laudenslager and M. Fleshner, Stress and Immunity: Of Mice, Monkeys, Models, and Mechanisms. N.R.S. Hall, J.A. Anderson, and M.P. O'Grady, Stress and Immunity in Humans: Modifying Variables. S.E. Keller, S.C. Shiflett, S.J. Schleifer, and J.A. Bartlett, Stess, Immunity, and Health. M.E. Kemeny, Stressful Events, Psychological Responses, and Progression of HIV Infection. N. Schneiderman, M. Antoni, G. Ironson, N. Klimas, A. LaPerriere, M. Kumar, B. Esterling, and M.A. Fletcher, HIV-1, Immunity, and Behavior. S. Cohen, Psychosocial Influences on Immunity and Infectious Disease in Humans. J.K. Kiecolt-Glaser, W.B. Malarkey, J.T. Cacioppo, and R. Glaser, Stressful Personal Relationships: Immune and Endocrine Function. G.F. Solomon and D. Benton, Psychoneuroimmunologic Aspects of Aging. F.I. Fawzy and N.W. Fawzy, Psychoeducational Interventions and Health Outcomes. References. Index.